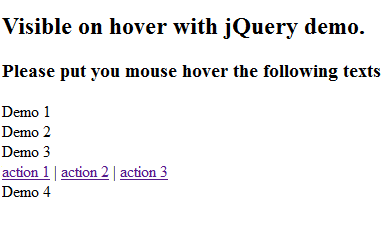 How to build a “visible on hover” action menu with jQuery ? 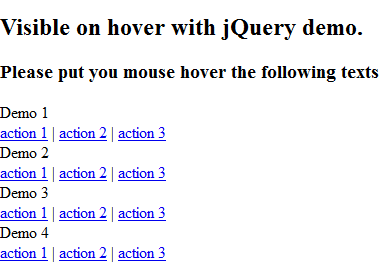 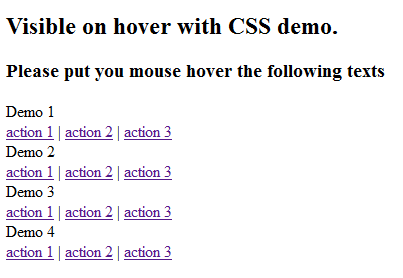 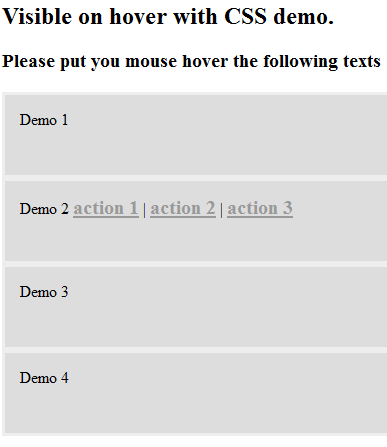 Here is a quick way to use jQuery library to create a “visible on hover” action menu. 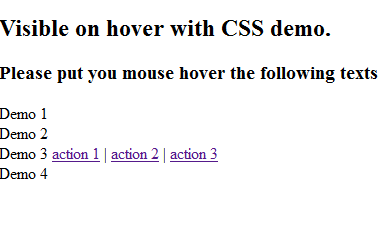 I’ll explain step by step how to do that. 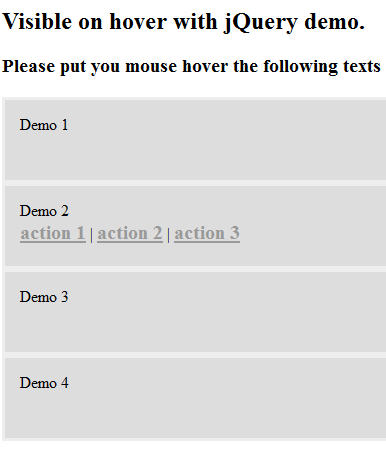 You can see the online demo here. 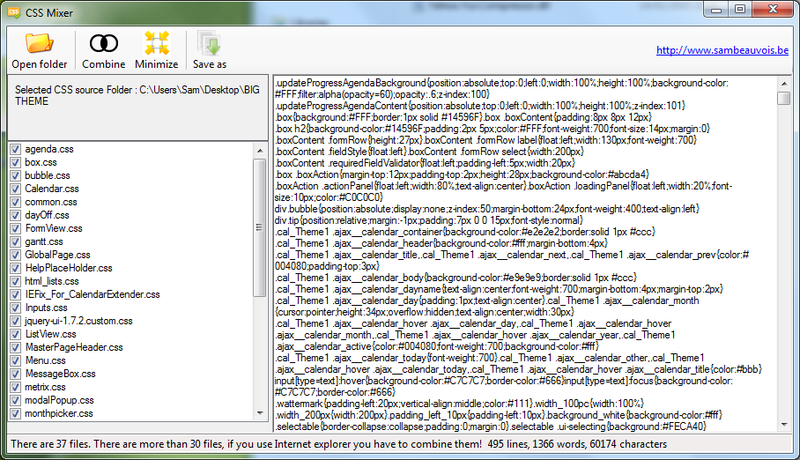 Big projects with a lot of stored procedures can be a mess to maintain. 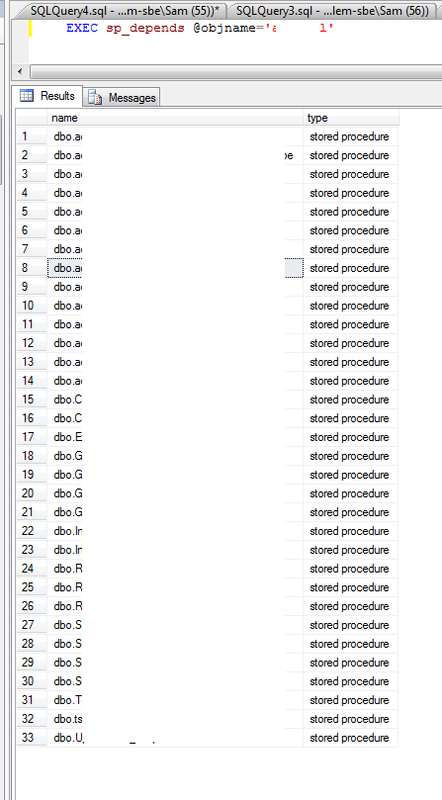 If you change one field in a table, you have to check if there is no side effect in the stored procedures using this table. 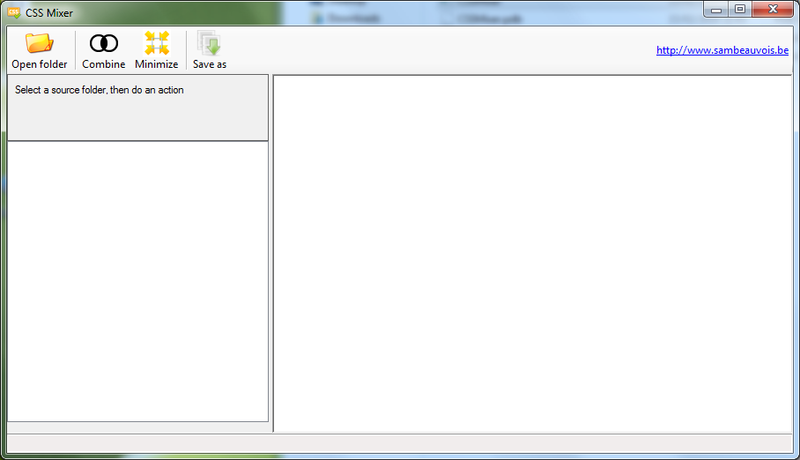 This “sp_depends” system stored procedure can help you finding your stored procedures using the table you modified.